Chatty Cat ? Chatty Cat ? Do you have a chatty cat? How much of a chatty cat your cat is often depends on their breed. It’s well known that Siamese cats and other oriental breeds such as Burmese are very talkative whilst British Shorthaired cats tend to be on the quieter side and reserve their vocal meows for more important occasions when they need to communicate. 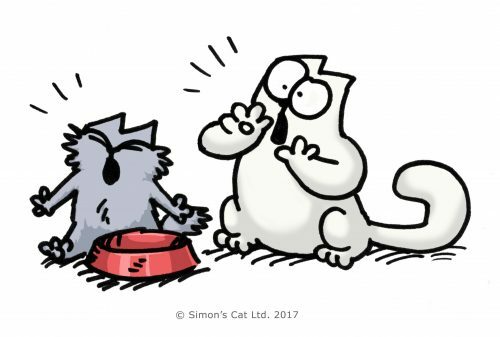 There are lots of other reasons why a cat might be more vocal at times – the obvious ones include your cat being injured or in pain, or very hungry (like Simon’s cat!) or even when they watch their prey from a distance. 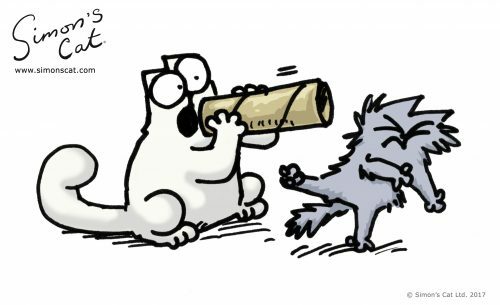 Once you’ve got to know your cat well, you’ll be able to understand the change in the noises they make and what they mean. If your cat doesn’t meow frequently, it’s nothing to be concerned about, as some kitties prefer to communicate through body language and contact or simply by purring. You might notice your cat will wrap around your legs when they’re waiting to be fed or paw at your lap when they’re comfortable – that’s their way of communicating with you and can be just as fun as “having a natter”. But what if you want your cat to be a bit more vocal? Well, some animal experts claim that if you communicate with your cat more frequently, they learn to respond more. It’s best to start by talking to your cat at an early age, and train them to communicate with meows by rewarding them and encouraging them when they make sounds. You may find kittens have less of a vocal range and it will develop as they get older –‐ just like humans, cats get a broader vocabulary as they age! Do you talk to your cat and do they talk back?